Saturday night I had the privilege of tasting one of the best Negronis I've ever had. Served with a curled sliver of lemon skin and orange skin, and a flawlessly round ice cube the size of a tangerine, the flavors of this cocktail were expertly balanced to create an exemplary drink. By its lonesome, I'd only consider using Campari to sterilize combs. 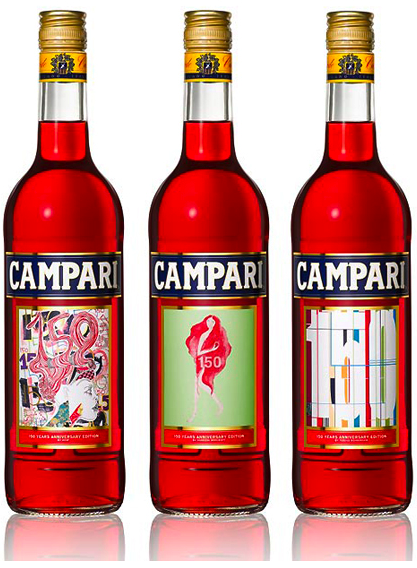 But with the right blend of ingredients, Campari can be tamed and used to subtly enhance the company it shares a glass with. A traditional Negroni is made with Campari, sweet vermouth, gin, and a lemon twist. This version included a little sugar and soda which in my mind are now mandatory components. Our bartender took such care while making my drink...I'm certain he spent five minutes putting it all together. When he set it down he said in his Italian accent, "I just love when people order this drink," and stood nearby while I tasted it to ask what I thought. I think he knew what I'd say. "It's perfect."